Understand the pitfalls you may face when selling Highlands real estate. There are common issues that get in the way when selling a home. Some can make a sale fall apart and others can just muddy the waters for a bit. Luckily your Highlands REALTOR can help you understand a contract to purchase your home and walk you through steps to safeguard your interests. The biggest stumbling blocks to a home sale can be the buyer’s ability to secure a home loan, a home inspection revealing major issues with a home inspection, and a low appraisal. While there are ways to deal with these stumbling blocks they may result in pushing the closing out, a decrease in the price you get for the home, or a sale falling apart. Keeping a sale on track is certainly easier with an experienced Highlands NC REALTOR on your side but not always within her control. 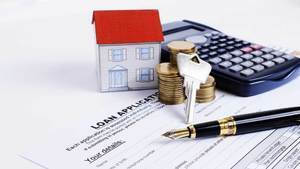 Certain contingencies and corresponding dates are certainly helpful, for example getting loan approval earlier in the purchase as opposed to closer to the closing. Contact our team at Berkshire Hathaway HomeServices Meadows Mountain Realty today to learn more about real estate in Highlands NC. We welcome the opportunity to help you get to know our market, what is selling and what is not, while sharing a complimentary listing presentation at the same time. Let our knowledge and experience help you with selling Highlands real estate. Click here to read “The 3 biggest reasons you can’t sell your home” from MarketWatch.